Yes, I jest. 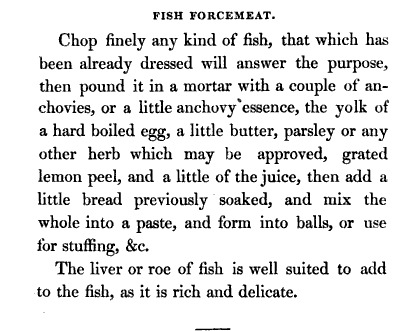 However, here is Lady Judith Montefiore's recipe for something that seems fairly similar to gefilte fish, in her 1846 cook book, The Jewish manual; or, Practical information in Jewish and modern cookery, with a collection of recipes relating to the toilette. 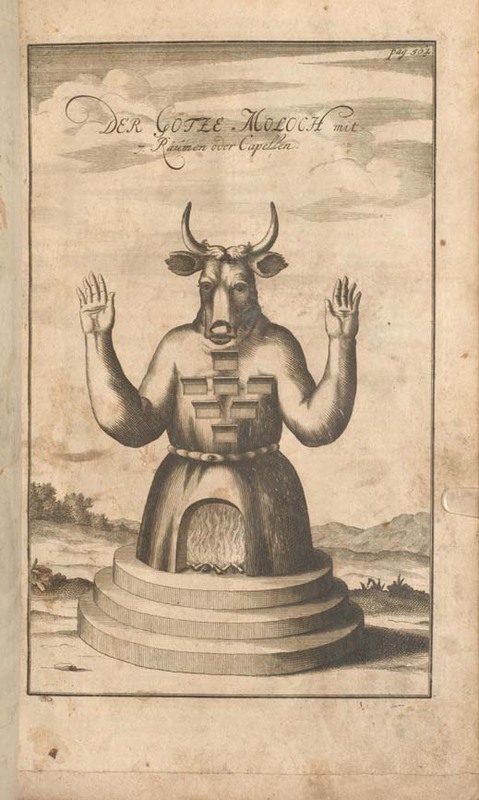 Although it was published anonymously, "Edited by a Lady," as per the title page, it is known that this lady was our Lady in question. The difference between good and bad cookery is particularly discernible in the preparation of forcemeats. A common cook is satistified if she chops or minces the ingredients and moistens them with an egg scarcely beaten, but this is a very crude and imperfect method; they should be pounded together in a mortar until not a lump or fibre is perceptible. Further directions will be given in the proper place, but this is a rule which must be strictly attended to by those who wish to attain any excellence in this branch of their art. 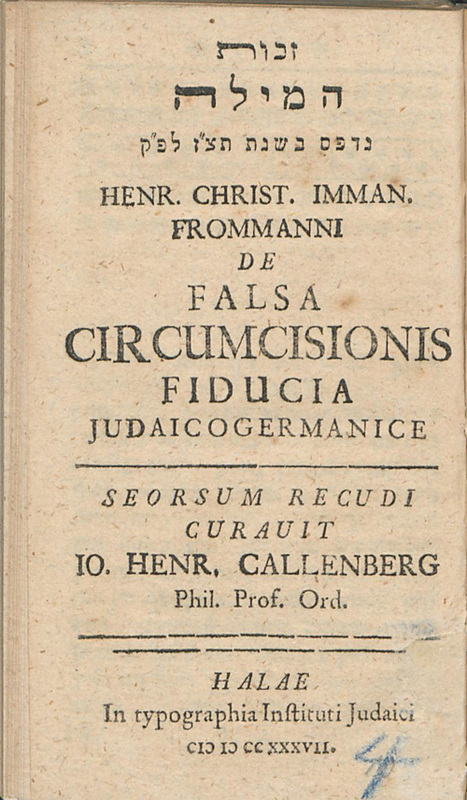 Given some of the current talk about circumcision, it is interesting to contemplate a tactic that those who oppose circumcision don't seem to be thinking much about today: persuading people not to do it, in Yiddish, and using rabbinic texts. 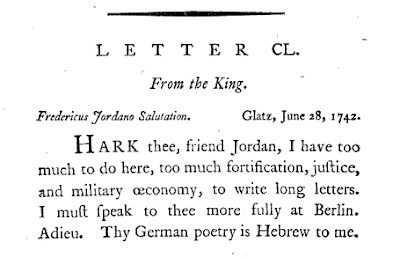 Yet this is exactly what a convert named Fromann did in this 1737 publication by Callenberg's Halle institute for converting Jews. Here's Michael Creizenach's fairly fawning dedication of his own book on algebra (link) to pupil Meir Kalonymos Rothschild, who was probably 14 or 15 at the time. 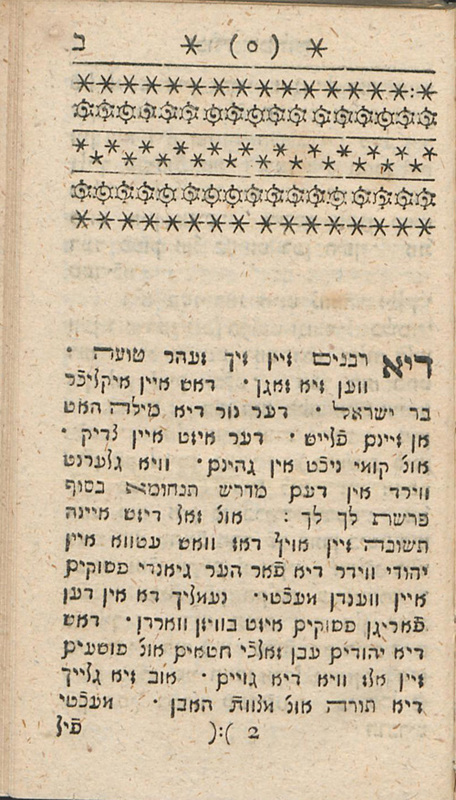 Here is Chacham Tzvi's approbation to the 1713 Amsterdam Machzor with Yiddish translation - it says on the title page it is for, "be-frat far veiber und kinder und gemeine zeit," women, children, and common people, "for those who don't understand loshn ha-kodesh" - printed by Chaim "Druker" and his partner Shimon, and Shlomo Proops, the king of the Amstaelodami printers. Chacham Tzvi writes a defense, in the middle, of the idea of translating into the debased language generally. Of note is the adornment featuring a pair of well endowed winged females. The truth is, there are not one or two or ten such examples in early modern seforim, but hundreds. Such imagery was fairly standard. 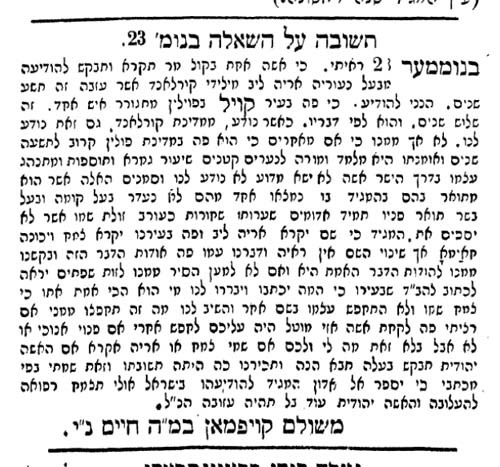 The same Proops also printed Chacham Zvi's responsa the year before. Here's Bartolocci's handy list of the angels, from vol. 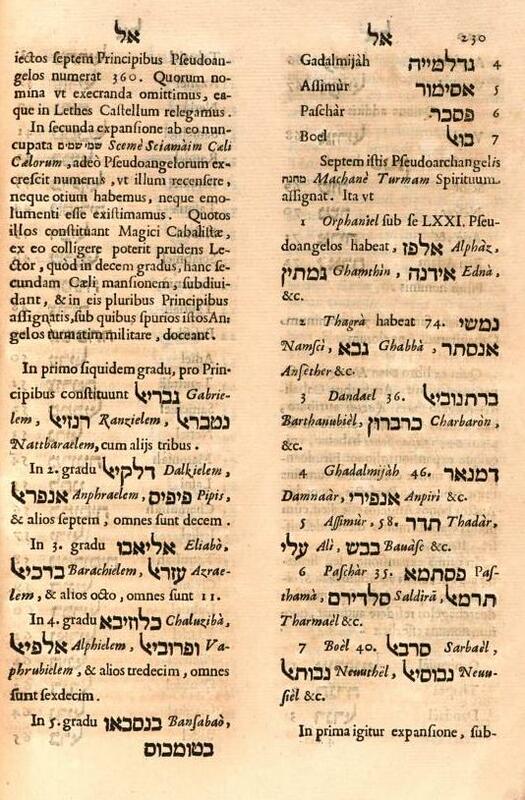 I of Bibliotheca Magna Rabbinica (Rome 1675). On the one hand, maybe not the most interesting thing ever. On the other hand, I guess this could be somewhat interesting. 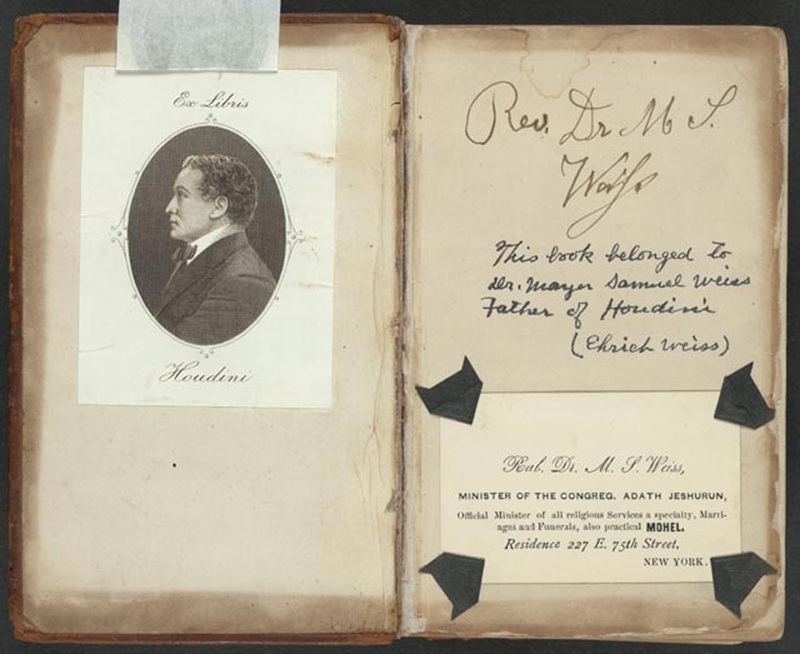 This Bible in the Library of Congress was owned by Harry Houdini's father. Says so right there. Found this on the LoC website; but someone else seems to have taken an even more interesting snapshot, which shows that it actually contained Houdini's ex libris sticker. See at the end. 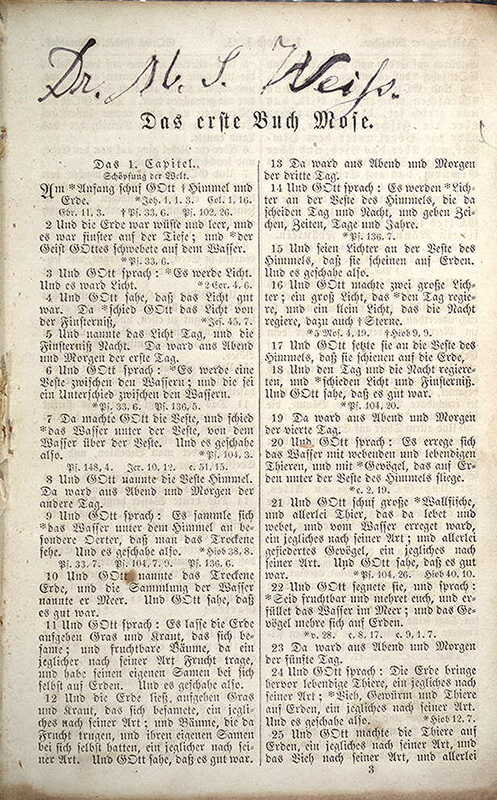 In terms of what edition it is, this seems to me to have been Die Bibel: oder Die ganze Heilige Schrift des Alten und Neuen Testaments published throughout the 19th century by the Amerikanischen Bibel-Gesellschaft. I noticed that, statistically speaking, good old OTML exceeded 1 million page views. By the looks of it, this momentous moment occurred a couple of days ago. Now I know that 1 million is kind of small internetally speaking. I know this blog is a small fish in a small pond. Or maybe it's a good sized fish in a somewhat niche corner. And it's been years. Still - a MILLION. Nice. Someone should make a list of the Hebrew names of notable Jewish scholars and academics who are better known by their shem chol. Salo W. Baron - Shalom. 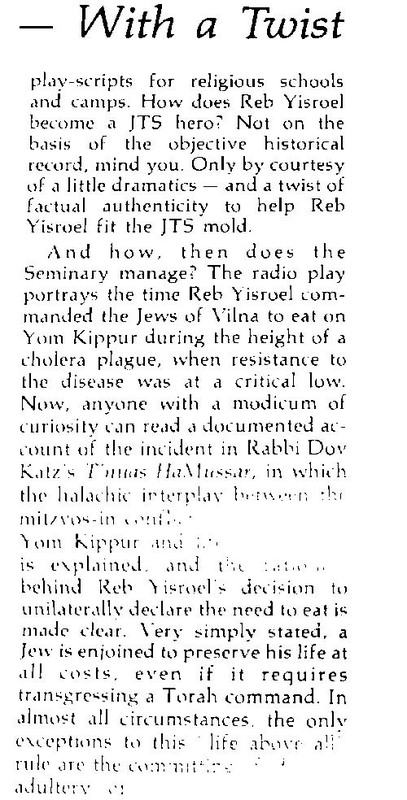 Here's a bit of vintage Jewish Observer, displaying indignation that the JTS might feel that it has an interest in R. Yisrael Salanter, and his portrayal on a radio show. 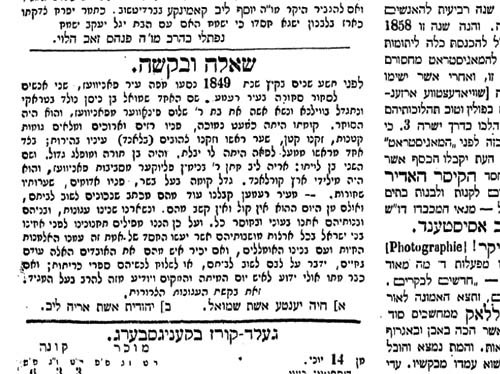 Touches on an important legend about R. Yisrael Salanter, much treated in the literature. May 1978. Some Spinoza thrown in at the end for good measure. The founder and editor of Hamaggid decided to use the pages of his newspaper to print notices from agunot, chained women, whose husbands had gone missing. These notices are heartbreaking, even as we appreciate the humanity of Eliezer Lipmann Silbermann in trying to do something to help these women. Sadly, there were many, many of these notices. Occasionally they seem to have worked and the whereabouts of a missing husband was located. Two women write that in 1849 their husbands left their town of Ponovezh to sell merchandise. Chaya Yenta's husband is named Shmuel ben Nisan. He was born in Troki and grew up in Vilna. He married her, the daughter of Reb Shalom Finfer of Ponovezh, a merchant. Physically, he is short, has a thin, long face, with pockmarks, a small beard, and blonde hair, and light eyes. He has a wart on one side of his head. He is a ben Torah, very learned. The second one, Yehudis, is married to Aryeh Leib. She is the daughter of Reb Binyamin Slauker, also based near Ponovezh. He grew up in Kurland. Physically, he is very fat, with a ruddy face and black hair. They say that when they reached their destination they received letters from them stating that they planned to return, but that was the last they ever heard from them. Thus, they have been left as agunos, chained women. Therefore they ask all Jews, wherever they may be, to do them a kindness for they and their children are as two widows of living men. If anyone recognizes these men and knows if they are alive, please speak to them and encourage them to return home, or to send them a divorce. If they are already deceased, perhaps someone knows the date and place of death and can inform the rabbi, editor of Hamaggid. 1) Chaya Yenta, wife of Shmuel.2) Yehudis, wife of Aryeh Leib." 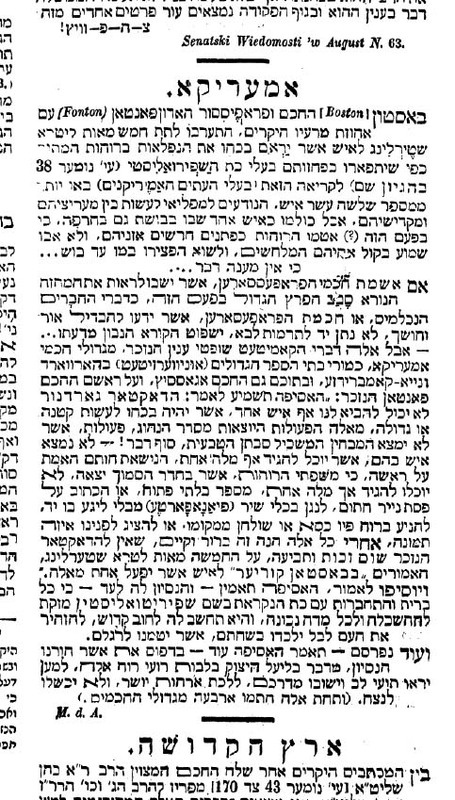 A man called Meshulam Kaufman writes that he may have information about Yehudis' husband, Aryeh Leib of Kurland. He says that here in Kvil (sp) in Poland a man has been living for three years, and he says he was raised in Kurland. He also knows from the man's own words that he has been dwelling in Poland for about nine years. He works as a melamed (teacher) for small children, and gives a shiur in Gemara and Tosafos, and conducts himself properly (i.e, religiously). 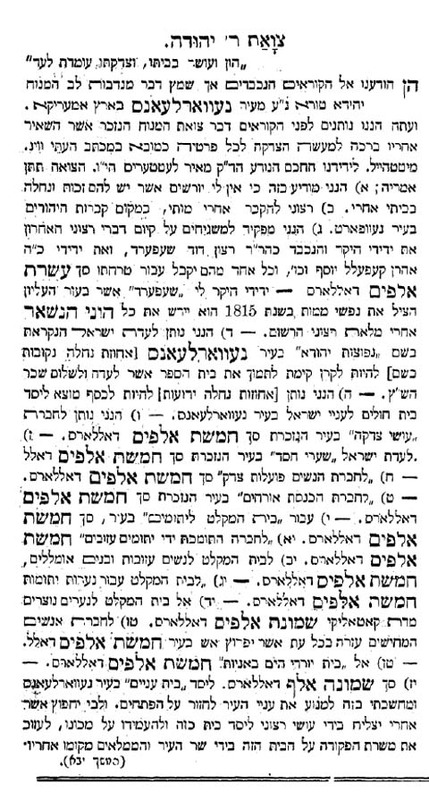 He is unmarried, and Kaufman does not know why, and physically he matches her description exactly; except that he is not called Aryeh Leib; rather, here the man is known as Tzemach, and nicknamed "Chayma." Nevertheless, the fact that this man has a different name is no proof, of course. 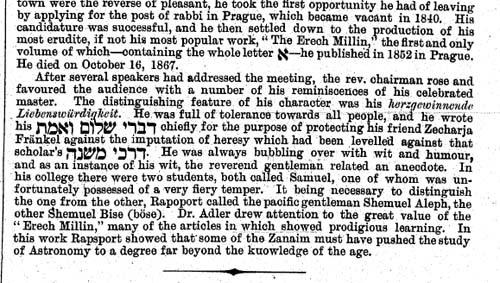 Kaufman says that he spoke to him about it, and implored him that if it is true then he should face up to it, and if not then in order to clear his reputation, he ought to inform the Beit Din in their city and clarify the matter, if he is really named Tzemach and so on. The man responded, what business is it of yours? If I decide to get married here, sure, let them investigate me. But barring that, what business is it of yours if I am really named Tzemach or Aryeh? So, Kaufman wishes this be made known to Yehudis and maybe with the help of the editor inquiries can be made and perhaps the matter, the disgrace of this scorned Jewish (Yehudis) woman can be ameliorated. I don't know if anything came from it, but it is nice to have seen a glimmer of hope. 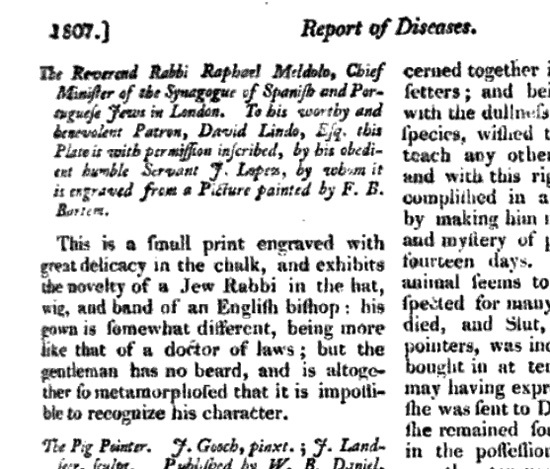 This is an interesting piece in an 1857 issue of Hamaggid. The correspondent, from Boston, writes about Spiritualism, which was very popular in the 19th century. More specifically, about a $500* challenge from skeptics, sponsored by the Boston Courier. Amazingly, something was lost in the translation, as there was no Chacham Professor Adon Fonton involved in this. From American newspaper accounts it seems that one of the representatives of the Spiritualist side, none other than H. F. Gardner, was based in Fountain House and as far as I can tell that it where a "Fonton" comes in. The other names are correct. *I know it says/implies "pounds sterling," but from the newspaper accounts we see it was $500. Here's something interesting. 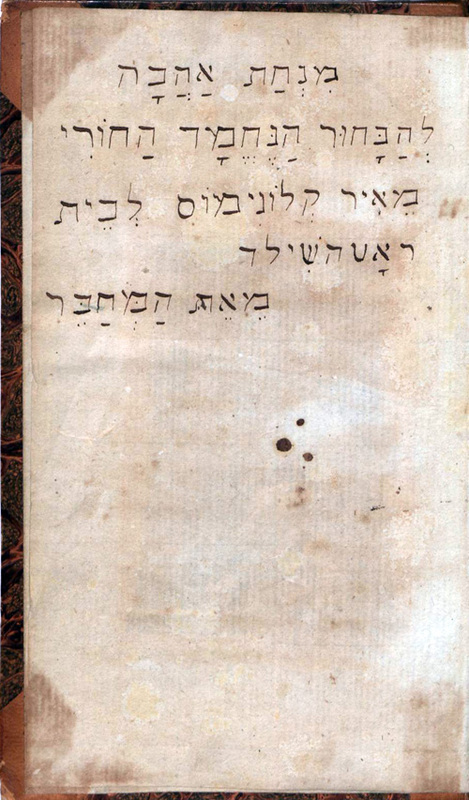 In 1821, R. Zvi Hirsch Katzenellenbogen of Vilna (1796-1868) published his sermonic and poetic eulogies for R. Chaim Volozhiner, Nachal Dim'ah (link). 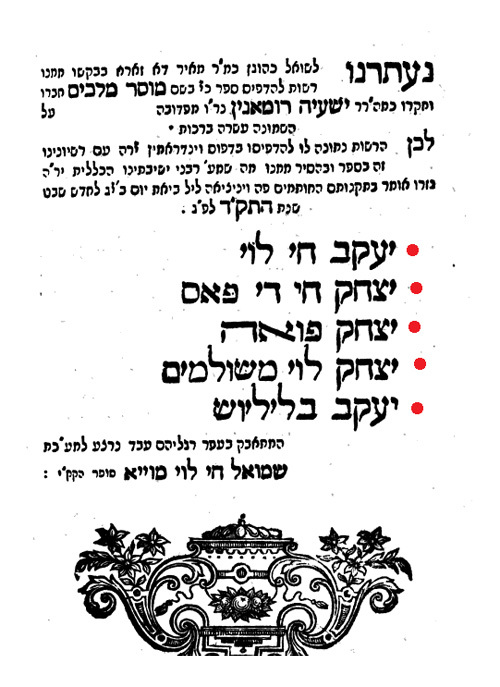 Katzenellenbogen was one of the circle of early Vilna maskilim, which of course is not polite to say nowadays, since his works were used by Torah scholars. 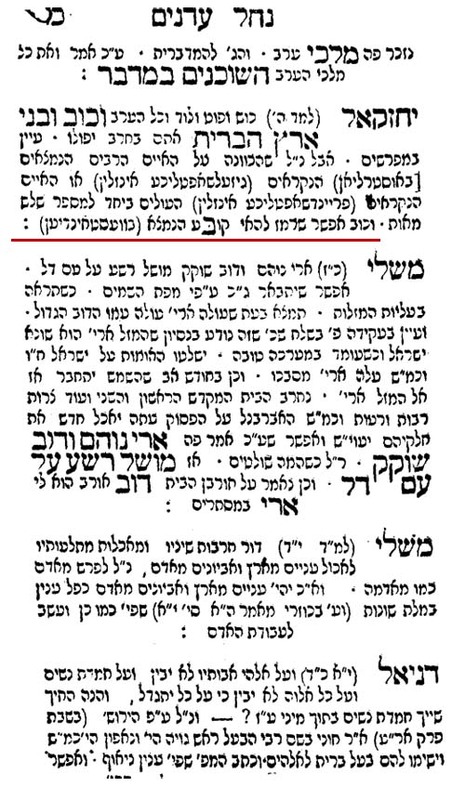 I note that in truth lines were blurry in those days, and circles overlapped, and some would say that he shouldn't be flatly categorized as an early Vilna Maskil (see, e.g., Gil S. Perl's dissertation on the Neziv, pg. 138 n. 330; I assume this is included in the book version, the recently published The Pillar of Volozhin). 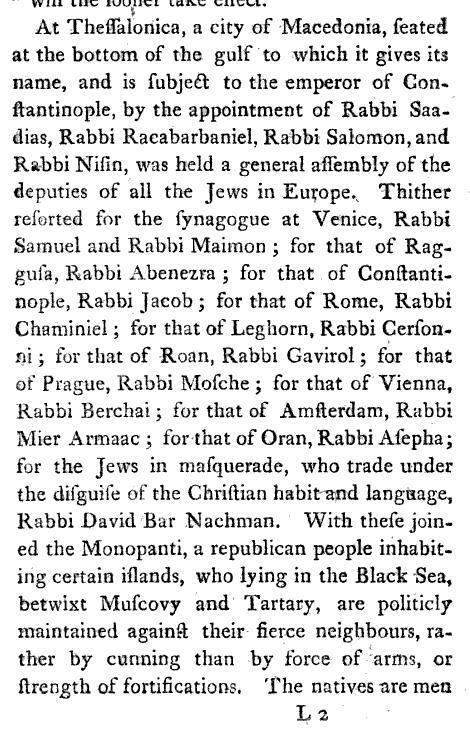 However, the same way the story is that R. Yisrael Salanter declined to be Instructor of Talmud at the maskilic Rabbinical Seminary in Vilna, indeed fleeing into exile to avoid it, Katzenellenbogen was the one who filled a very similar position at the Seminary. Similarly, he represented the Vilna maskilim when Montefiore made his famous trip through the Pale in 1845, reportedly conversing and conferring with Montefiore's secretary Louis Loewe in Latin. Here seems like a good place to note that Ezekiel 30:5 (eretz ha-berit) is the scriptural basis for the term "Artzot Ha-berit," which has been used in Hebrew to refer to the United States for over 150 years. 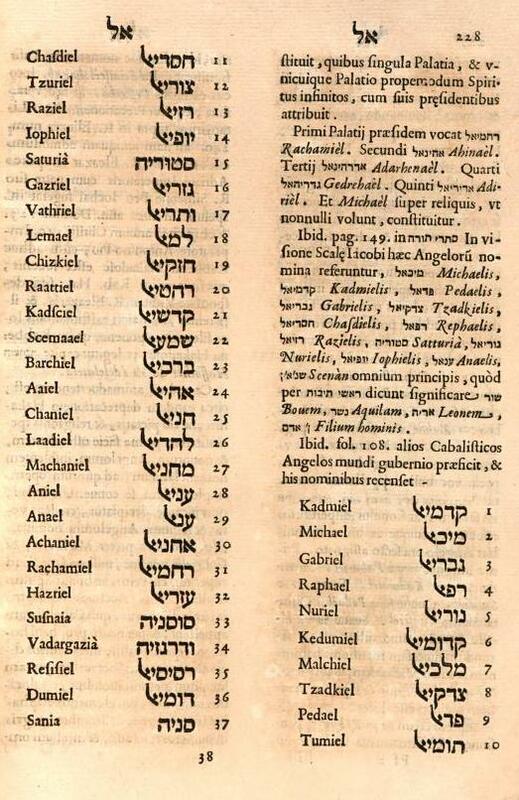 See my earlier post (link) on developing the Hebrew name for the United States, which takes us from מדינות נארד אמעריקא in the 1820s to ארץ אנשי הברית in the 1840s, and finally, ארצות הברית. In the North . . . and the South . . . Living (chaim) they were, their souls departed . 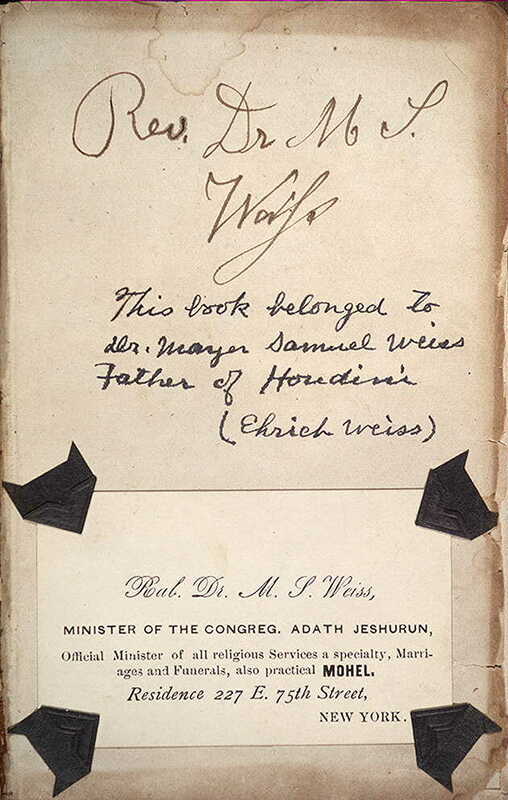 . ."
While I don't vouch for the quality of the verse, there is a footnote, and he explains that here he refers to the departures of R.Chaim of Volozhin in the North (i.e., Lithuania) and his counterpart Chaim, the righteous, wealthy, Hayyim Farhi, of the Land of Splendor. A few years ago I posted some excerpts from the Ethical Last Will and Testament of British Chief Rabbi Nathan Marcus Adler, and I also summarized parts of it (link). 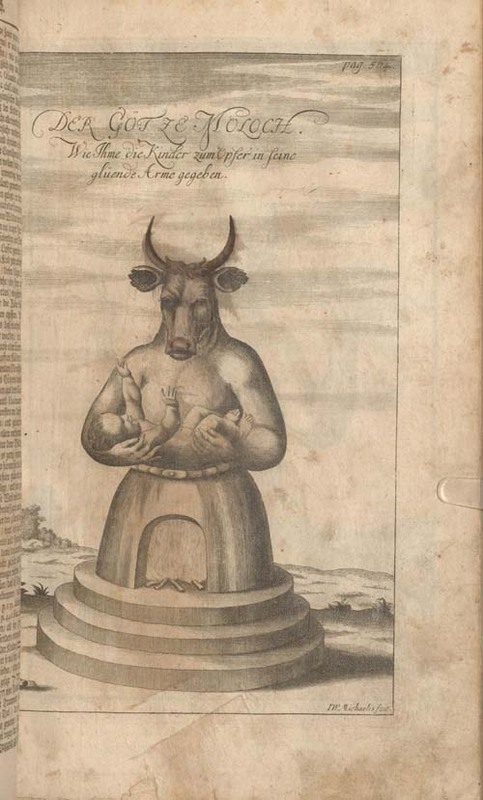 For more on Moloch, see pp. 37 - 39 in Bamot Ba'al, one of the most unusual seforim ever written. On a proposed new term for "anti-Semitism," and "It's all Greek/ Hebrew to me"
"I'm not an anti-Semite just because I oppose the hooknosed pimping thieving imperialist rabbi Freemason Zionist pig-monkeys. I'm a Semite myself." This argument did not turn up in 1965, apparently. Or at least it was anticipated. Israel Zangwill, writing in 1890 as Marshallik, discusses a proposed term for Jew-hatred, "Hebrew-phobia," as opposed to "anti-Semitism." Interestingly, he notes that while the English say of a language or something they don't understand that "it's Greek to me," the French say "it's Hebrew to me." Although "it's Greek to me" has its roots in the English language at least as early as Shakespeare, the purportedly French version, was also used in English, well into the 19th century. 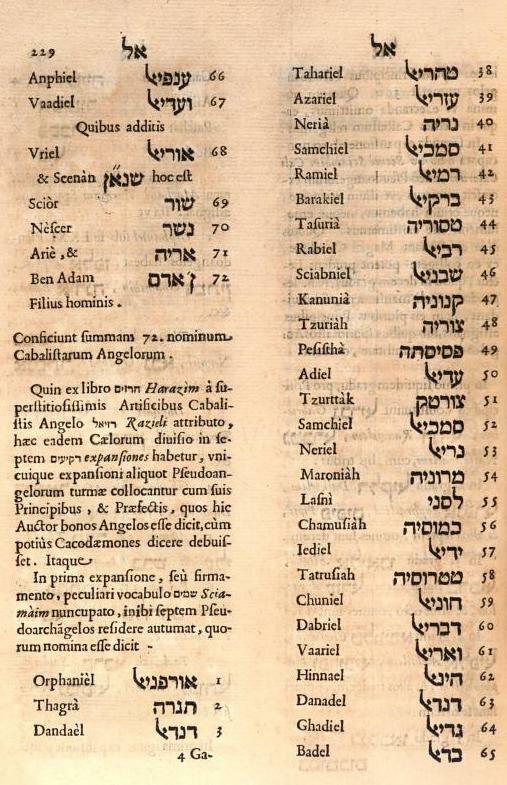 In fact, here is a French work from 1728 which explains that the French expression "C'est du bas Breton pour moy" - "It is English to me" - is equivalent to the British expression "That's Hebrew to me." 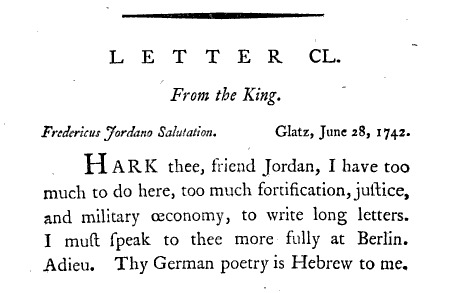 Next we see an English translation of a French letter sent by the Prussian king - got it? 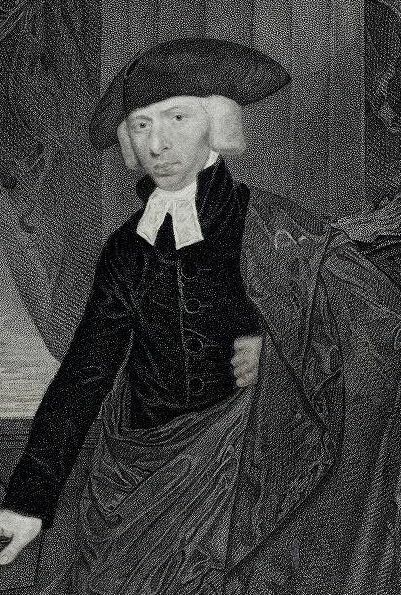 - in 1742. As we can see, he employed the same idiom. Finally, here is Wikipedia's list of "Greek to me" in various language (link). In Iceland they say it's all Spanish to them. I didn't know that either. 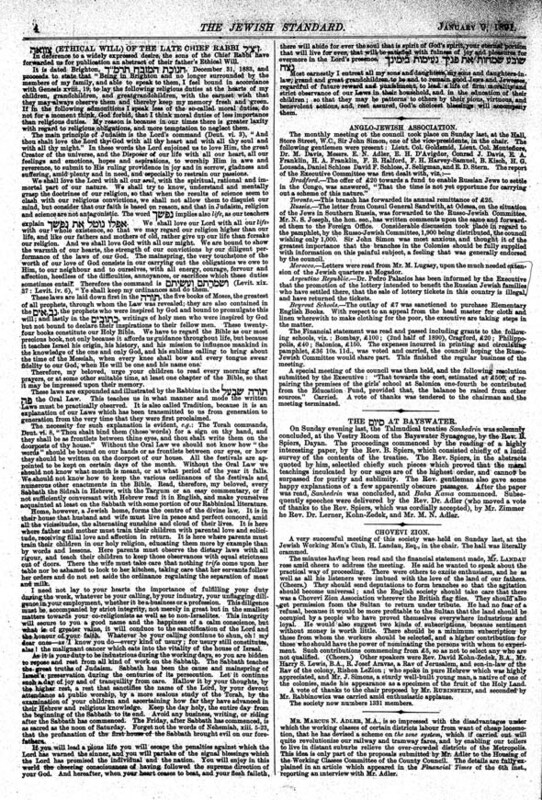 A few years ago I wrote about how in 1842 the time for ushering in the Sabbath was determined by half hour intervals (link). They had pretty good clocks, but no one said "light candles at 7:21." It was, light candles at 7 for a couple of weeks, and as it got later, you'd light at 7:30, and so on. I found something very, very interesting. Same city - London - fifty years later. 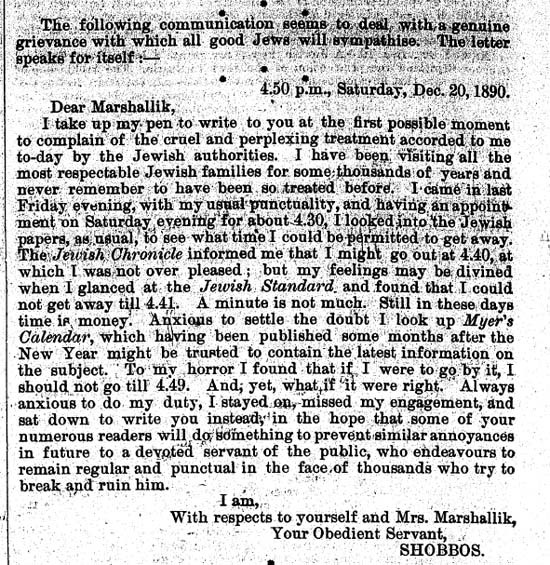 In his Jewish Standard humor column Israel Zangwill printed a letter he says he received from Shabbat ("Shobbos") himself. Or herself, since the Sabbath is a queen. Maybe. (Malka vs malkah, who can tell?). This cynic tends to think that it was Zangwill himself who wrote it, but what do I know. In any case, the Sabbath wanted to call attention to the fact that three separate sources gave three separate times for the end of the Sabbath. That December 20th of 1890, one said 4:30, one said 4:41, and one said 4:49. No, the end time is not the same as the beginning. But what I am thinking of is the precision of the numbers. Interesting.